Hey guys. Just wanted to share a few pictures of the latest version of Kadish. I think I'll keep posting these from time to time for those interested, without making it too repetitive either. Anyway... I'm currently working very hard on understanding how to do correct lighting - this results in a very strange version of the Age... the colors are very far from the original Uru look, but I think it's nice to see an "alternative" Kadish without the ominous purple fog. It gets better once you get to the light puzzle, though. All those trees with green bark nearby realistically reflect a lot of light towards the pyramid area. And it even works for moving objects like the big ball on the top of the building. Cool ! (okay, to be perfectly honest, the time it requires to setup all the lighting is a pain in the... But the results are worth it). Still some renovations to be done in this one, but I really love how the glowing line in the ceiling lights up the entrance. Let's skip ahead to the vault interior... Pitch black, save for the flashlight (heh, what did you expect). Anyway. Still have a lot of tweaking to do, but I'm slowly learning how it all works. Oh, and one final shot... A lot of people told me how watching movies in a VR theater is awesome. Well, it's not as cracked up as they all say - especially since the Vive is quite heavy (other devices like the google daydream are probably better suited for this). Regardless, it's still fun. That's all for today. Hope it was entertaining ! Amazing, Sirius, thanks for sharing! I just bought my 1st VR Headset. This will be the 1st game to play with it. Hope I can get help here in case I'll be needing one. 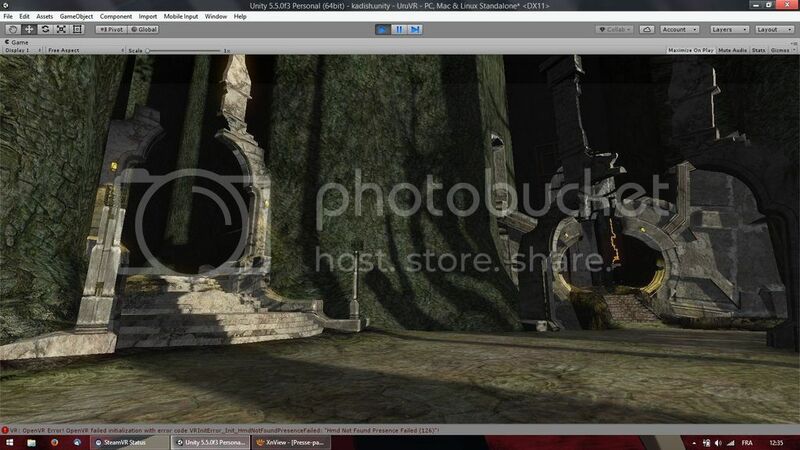 so what do you plan to do with this VR recreate uru or is to show off what the unreal engine can do with uru live? PhylMurph wrote: I just bought my 1st VR Headset. This will be the 1st game to play with it. Hope I can get help here in case I'll be needing one. Oh, this VR experiment won't be released soon, and right now no Myst title is compatible with VR. However you might want to have a look at Obduction - it supports Oculus and soon should work with the HTC Vive. zeke365 wrote: so what do you plan to do with this VR recreate uru or is to show off what the unreal engine can do with uru live? Later ? Well, this depends from both Cyan and the community. Alternatively, I would love to see the community build fan-Ages using a new, better looking engine compatible with VR. What we could maybe do is release a base "game" (which would only include core gameplay elements and a Nexus), on which you could download and play fan-made content. Maybe even add multiplayer to it (kind of what Deep Island does currently). Those are my dreams, at least. Once I get one or two Ages working flawlessly with good visuals, I'll probably send it to Cyan and see what they can allow me to do with it. How's this coming along? Any more progress lately? Sirius wrote: But ! My import scripts now correctly import all materials with its FULL multilayering infos ! Which means I can export an almost Plasma-like scene in just a few seconds, provided it's correctly setup in Blender. I don't suppose that script can be integrated with the existing PyPRP Importer? It would be really useful to have a more complete material import. As much as it saddens me to say it, no, not so much. I've been focusing more on Elodea and the Cathedral, but even that has been progressing slowly. That, and I've been working on other projects like importing Dark Souls in Unity, or getting Myst 3 working on a Daydream headset (I do love tinkering with these things). To tell the truth, I've been feeling a real lack of motivation working on anything Uru or Myst related lately. Because of various reasons. To make it short: lack of news from Cyan, lack of new content, fans leaving, petty arguments (UAM), the Nexus issue that has been at a standstill for the past three years. Lack of interest in people here for anything related to Unity (because of Plasma) or to VR (because people don't have VR equipment). Thinking about Myst or Uru just depresses me these days, which is why I don't really post here anymore (I still read the forums regularly however). 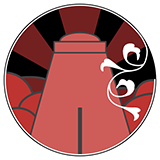 But I've got plenty of other interesting things to do and games to play, things that right now feel more interesting than going berzerk on Myst projects like I did the past years. Maybe I'll have more motivation later - probably when Intangible stuff finally start dripping down the MOULa pipe. But for now, I still feel like "meh whatevs" about Uru. As for the import script you quoted me on... It was a Unity script, not a PyPRP one It's actually a bunch of script that simplify the workflow of importing multitexturing from Blender to Unity. However, you might be interested in my custom PRP importer I wrote for the new Blender API (I mentioned it a while ago here, although the attached picture is a bit outdated). PyPRP is a buggy mess and makes porting meshes to Unity a headache, so I rewrote an importer from scratch, using libHSplasma as core. Obviously it doesn't import everything, but is oh-so-much better than PyPRP when it comes to importing meshes, materials and lights. If you're interested I can upload it somewhere. Understood. I know too well how little motivation there can be to work on this stuff. I was just wondering if perhaps you'd dabbled in any more VR explorations. Yes, I seem to have misunderstood. I thought your importer was for bringing multitextures properly Into Blender, not From Blender To Unity. I would love to see your libHSPlasma-based importer! I would find that very useful. I know you've mentioned before your issues with exporting multitexturing in Korman. There have been a few fixes committed that might help. It's too bad you aren't interested in working on these anymore, because your texturing and AO improvements would be welcomed in Korman. You seem to have a better grasp of it. 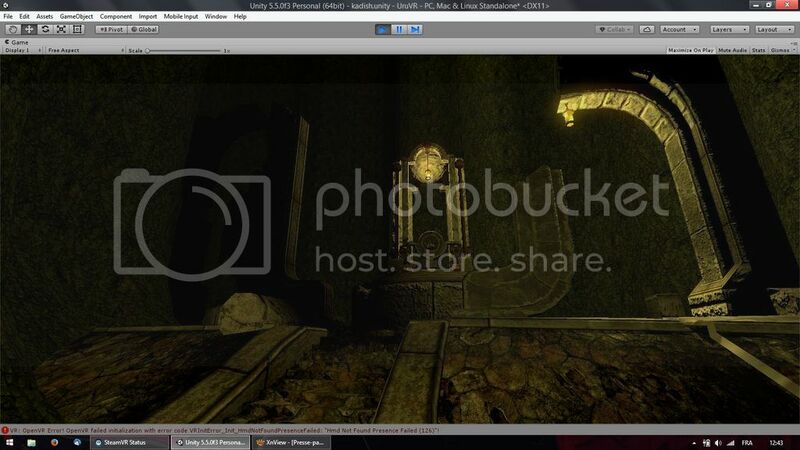 What are you doing with Myst 3? Are you using ResidualVM as a base, or something custom? I wish I had a VR headset, but they're still so pricey. Deledrius wrote: Yes, I seem to have misunderstood. I thought your importer was for bringing multitextures properly Into Blender, not From Blender To Unity. I would love to see your libHSPlasma-based importer! I would find that very useful. Oh, the new importer does handle multitexturing relatively fine - but it's completely different from PyPRP or the other script I mentioned. Here it is, if you want to have a look I didn't design it with re-exporting to Plasma in mind, although with tweaking you might be able to re-export things through Korman. - reflective and transparent surfaces are handled much better, and behave correctly in the Blender render. - multitextures is handled better. Stenciling works so-so but the importer automatically colors materials that failed to import. - completely eliminates duplicate vertices. Can also rebuild smoothing group by marking edges sharp and smooth, which means lighting on meshes behave a LOT better. Deledrius wrote: I know you've mentioned before your issues with exporting multitexturing in Korman. There have been a few fixes committed that might help. It's too bad you aren't interested in working on these anymore, because your texturing and AO improvements would be welcomed in Korman. You seem to have a better grasp of it. Korman does a really good job of exporting to Plasma - the way it handles lightmapping is really neat, which is no small feat considering how different Blender is from Plasma. Most of the features I can think of are either already present in Korman or simply not required. 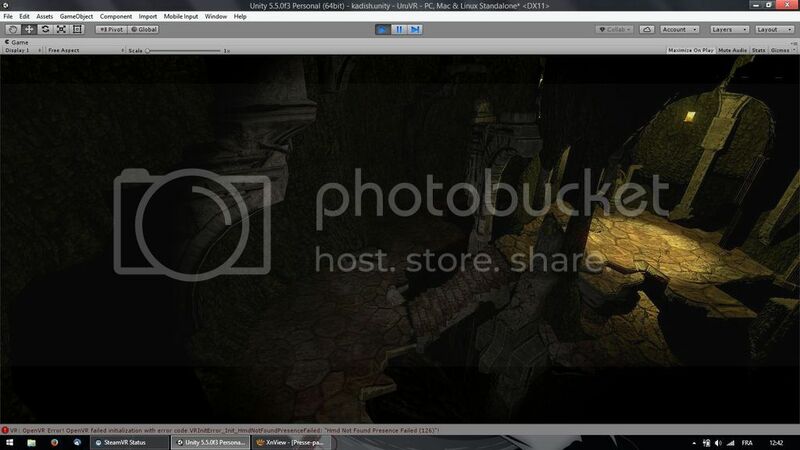 Deledrius wrote: What are you doing with Myst 3? Are you using ResidualVM as a base, or something custom? More or less. I started by tweaking ResidualVM, in order to remove all black borders around the screen and make it render in 16:9 aspect ratio. Works fine, mostly. Now my goal is to make it work in VR on Daydream phones. Since I hate C++ and ResidualVM's custom engine was not designed for VR, I'm trying to port ResVM code to Unity (C#). Dunno if the whole game will be playable, but I would be content just having Unity read the Myst3 archives and act as a VR node viewer. Deledrius wrote: I wish I had a VR headset, but they're still so pricey. Yeah, that's to be expected with new techs. Bah, they'll just get better and cheaper with each passing year. And right now there aren't a lot of games worth playing in VR anyway.